At the corner of Great Mills Road and Shangri-La Drive/Willows Road the winning “Lexington Park Alive!” mural is complete. This first public art project produced by the St. Mary’s County Community Development Corporation follows the corporation’s inaugural ArtsPark Cherry Blossom Festival in April. The CDC’s ArtsPark committee, in a juried contest, selected Lyn Wescoe’s design from 10 submissions. Three additional submissions have also found homes. Ms. Wescoe’s design depicts everything from an Amish buggy, crabs, and jelly fish to the cutting-edge aircraft from Pax River and the sweeping Thomas Johnson Bridge connecting St. Mary’s and Calvert counties. The mural follows her design’s dramatic black and white portrayal of Lexington Park and its surrounds. A two-week flurry of activity by local artists and a wide array of community volunteers reproduced the design on the rear of Bank Square Building, beginning with the nighttime projection and tracing of the design on the prepped cinderblock wall. The 15-foot by 50-foot mural is visible from the busy Great Mills Road intersection, two blocks south of NAS Patuxent River’s Gate 2. But already it has drawn patrons off the road and into Mr. Tire’s parking lot to take a closer look and to take pictures with the mural as backdrop. St. Mary’s College Professor Carrie Patterson’s Public Art Class both opened the flurry of activity with the tracing and helped put the finishes touches on the mural two weeks later. Roz Racanello, CDC’s ArtsPark project manager, was the primary artist transferring the design into the mural. She received help from many others, including former St. Mary’s County Commissioner President Jack Russell with the painting assistance of Tim Dixon, St. Mary’s Arts Council Executive Director Nell Elder, and even a few brush strokes from Lexington Park’s County Commissioner Todd Morgan. In addition to support from St. Mary’s CDC, the mural was generously funded by grants from the St. Mary’s Arts Council and the Southern Maryland Heritage Area. 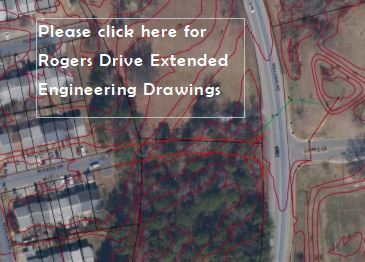 The Lexington Park library is additionally supporting two of the design submissions. One appears on the recently opened Little Free Pantry sponsored by the MOMS Club of St. Mary’s County and located at the Lexington Park library. A second submission will become a public art display inside the library. Leonardtown’s Benjamin Moore, Dyson’s Building Center, and Lexington Park Sherwin Williams stores donated the necessary supplies. Cooperation and support from Stevens Construction, Essex South, Earley Properties, and Mr. Tire made production of the mural possible. 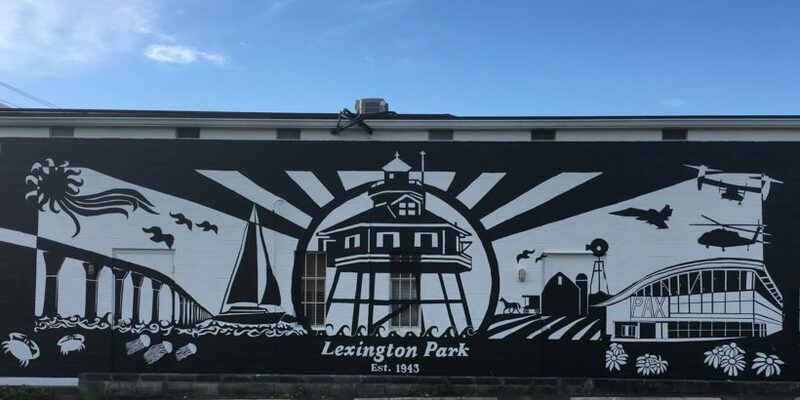 In its efforts to bring art into Lexington Park as a revitalization tool, St. Mary’s CDC continues to seek additional public art productions and is working to create an ArtsPark from a vacant 35 acres next to the Lexington Park Post Office on Coral Drive. For more information on public art in Lexington Park contact Viki Volk, President, St. Mary’s CDC, viki.volk@md.metrocast.net or voice mail at 301-863-7700.